Sage Products gets New Names. Sage is rebranding most products in its portfolio to be consistent with their naming conventions worldwide. However, there may be some confusion as, for example, Sage has a product in the UK called Sage 100 ERP and what we know as MAS 90 in US today will become Sage 100. The two products are completely different but Sage’s hope is that they are different customer sets and the confusion will be minimal…. We in Asia need not be concern about the confusion as we have only one (1) product that is Sage Accpac name change. 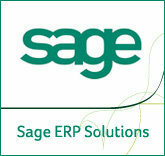 The other product will be Sage ERP X3, newly introduced to our market. This rebranding shouldn’t have much effect on our clients, but clearly you may be surprised to see these new names and new terms. Please call us if you have any questions about this. Sage Asia Premier Partner Award for 2011. We want to thank our valued customers for your invaluable support over the years. We are honored to announce that we have been awarded the Sage Asia Premier Partner 2011. Thank you again for your support and look forward to a prosperous year as we go into the year of the 2012! Remember this poem when we used to send around and still do when we were not yet become boss? Have a good laugh!! See below. Construction company Hyundai Construction Equipment Australia (HCEA) has moved from using Excel spreadsheets for client management to implementing a customer relationship management (CRM) system. Systems Manager, Matt Golby, said the upgrade is the first step in HECA’s move to the Cloud, and that it was necessary after staff communication became problematic. “The CRM is the first tool that we’ve put in through the net and the rest is systems based and driven back through the internet… Cloud services will provide a more user friendly platform for us,” he said. After informally looking at a few companies, Golby said he chose Sage as a vendor because of HECA’s use of the vendor's ERP Accpac. “We didn’t get anyone else involved, but we did have a look with other offerings like Salesforce and SAP, but to go down that path we probably would have changed our whole environment and systems,” he said. With some 70 staff in Australia and a dealer network extending to Papua New Guinea, the rollout at HECA was fairly slow, Golby said. “We took baby steps with this and... we made sure that it was an easy transition for staff so they could go from an Excel environment to more of a systems environment that could integrate between departments,” he said. Next on Golby’s agenda is a continued effort to embrace mobility, with HECA now looking at implementing a tablet strategy. "The thing that separated Steve Jobs from other people like Bill Gates — Bill was brilliant too — but Bill was never interested in great taste. He was always interested in being able to dominate a market. He would put out whatever he had to put out there to own that space. Steve would never do that. Steve believed in perfection. Steve was willing to take extraordinary chances in trying new product areas but it was always from the vantage point of being a designer." The unusual mix of design talent with a personality that could "warp reality" around people he was wooing, and also be stubborn as hell is what made him the force he was. 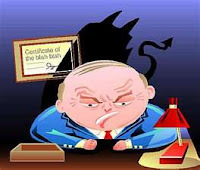 It also helped that made a mountain of money early, so that he could keep control longer than most entrepreneurs. I've read a lot of retrospectives on Jobs today. I think it's relevant to what WE want to do with our Sage-related business. 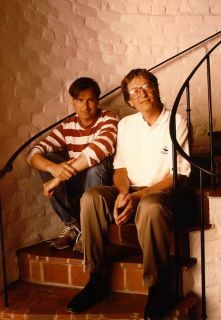 Jobs and Gates will always be linked together, but I suspect that Jobs will be remembered for his industry influence long past Gates. And yet Gates built a far larger business. I suspect that Gates will ultimately be remembered, 100 years from now, much as Carnegie is remembered: for his impact on philanthropy. "Steve’s point of reference was Sony at the time [early 80's]. He really wanted to be Sony. He didn’t want to be IBM. He didn’t want to be Microsoft. He wanted to be Sony. ... 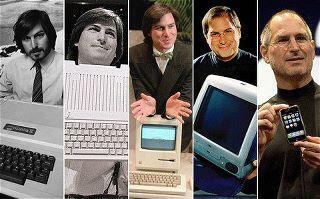 It was always an end-to-end system with Steve. He was not a designer but a great systems thinker. That is something you don’t see with other companies." Jerry Norman : CEO at SmartBridge Partners, A Sage Partner.